Low to no maintenance greens for your lawn or golf practice space. We have to forfeit any hope of ever having a naturally grown, lush, green lawn. Sand and rock certainly has its place but there are times when grass – soft, thick, beautiful, maintenance-free grass – is the only thing that can bring a landscape together. And for those times, Austin Pool Specialists is pleased to bring artificial turf to Austin lawns. That’s right – Austin lawns. Walking barefoot in your front or back yard and feeling grass beneath your feet is now well within reach. If you have children, give them a soft, supple surface to play on without fear of injury on rocks or sand abrasions. And, do it all without regular lawn maintenance concerns like cutting or watering. Our artificial turf will take your yard from desert to park and you won’t have to lift a finger. But why stop at grass? With artificial turf, the limits are only imposed by your imagination. Golfers – have you ever thought about having a putting green right out your back door? Imagine being able to work on that short game whenever you wanted, without having to go to the course. 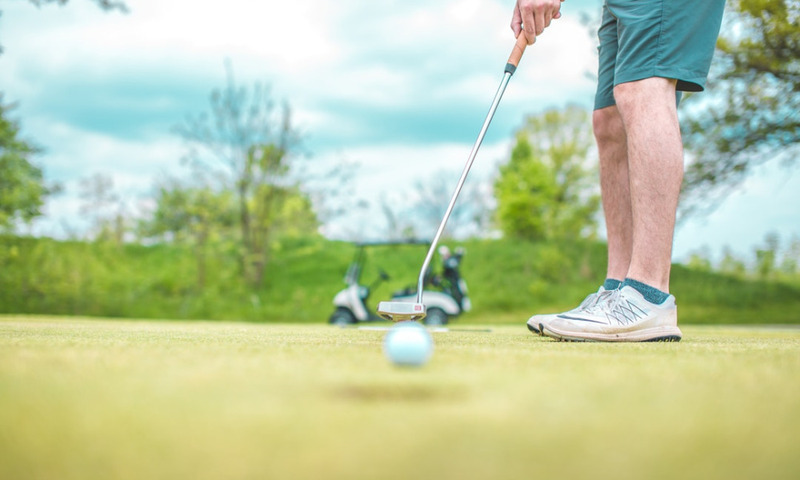 No matter your skill level or the level of difficulty you want to create, our landscape designers can create a putting green as realistic as your local course or as challenging as your local mini-golf center. It’s completely up to you. When you stop allowing yourself to be limited by the climate and start allowing yourself to consider the possibilities of artificial turf, the idea of lawns in Austin starts to take on a whole new meaning. We’d love to explore those possibilities with you. Whether you can already see your dream lawn in your mind’s eye or you need a little design help to get you there, we’d love to discuss the possibilities of what artificial turf can do you for you.